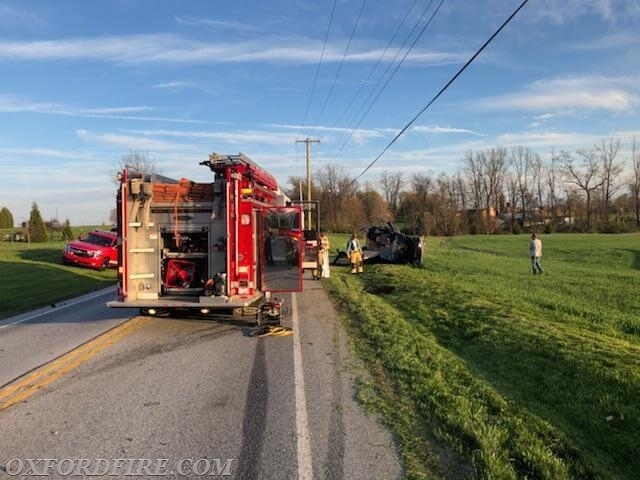 At 1844 hours, while returning from a RIT response in Cochranville, Rescue 21 (LT. Vitanza) was hailed over the air by the Chester County Fireboard and advised of a Motor Vehicle Collision (MVC) in the 3500 block of Newark Road (Route 896) in the Russellville section of Upper Oxford Township. 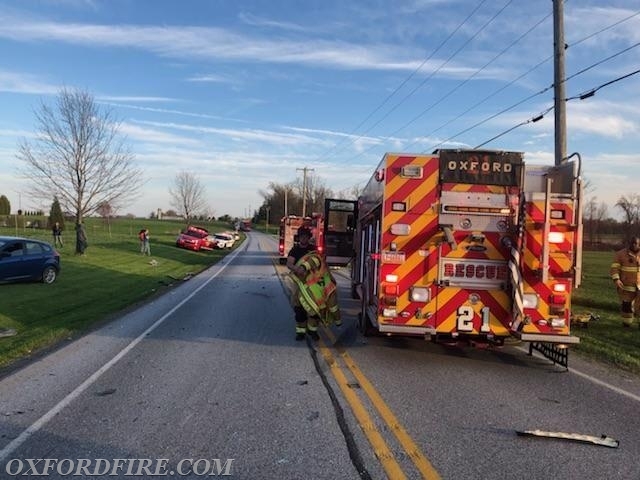 Multiple calls reported a three-vehicle MVC with blocking. 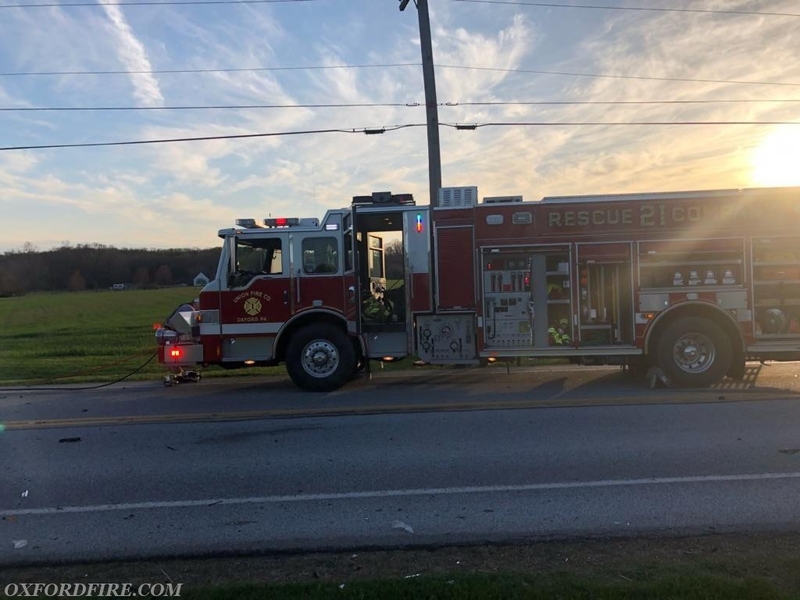 Rescue 21, responding from the intersection of Route 10 and Route 896, arrived in one minute to confirm a three-vehicle MVC with a one vehicle overturned. 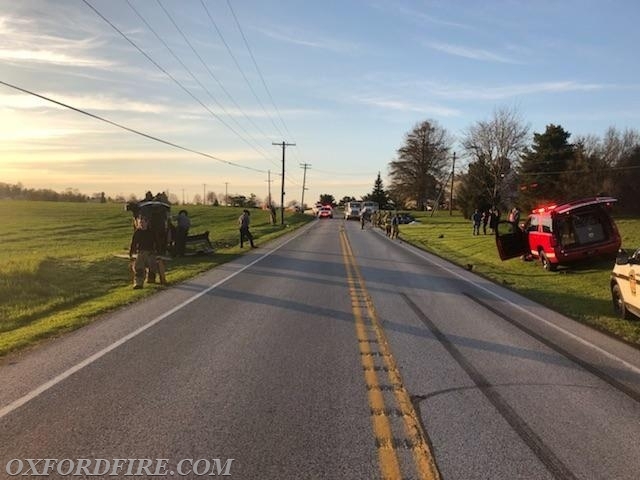 After a quick scene size-up, it was confirmed that there was one subject trapped in two of the vehicles. 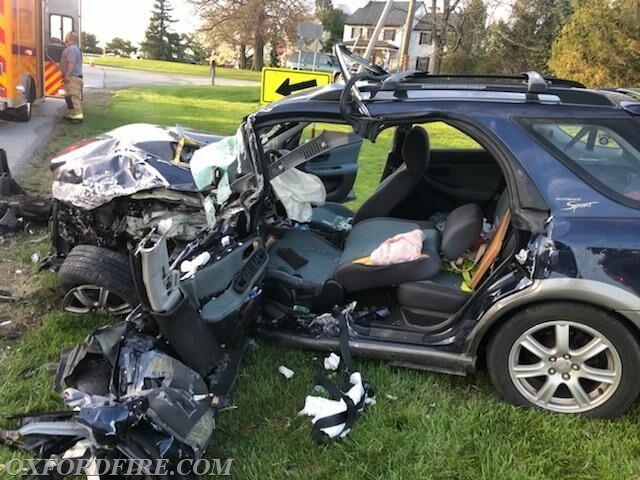 Lieutenant Vitanza requested a second Rescue Company and two additional Ambulances. 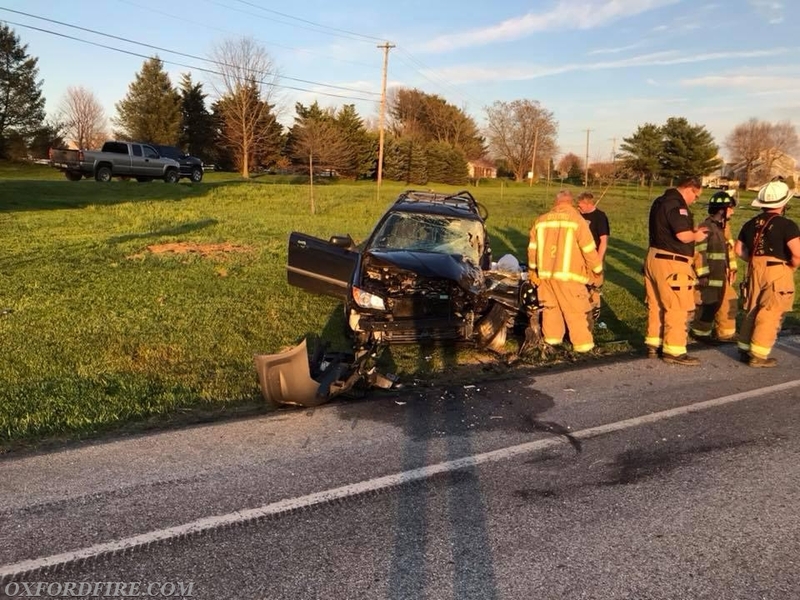 This alerted Rescue 27 (Cochranville) and Ambulance 22-1 (West Grove) and Lancaster County Ambulance 46-1 (Christiana). 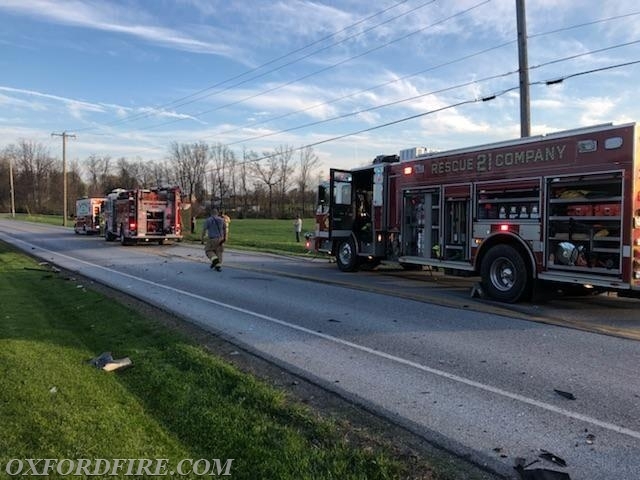 Chief 21 (Meadowcroft) arrived and established the "Newark Road Command". The Crew from Rescue 21 split. 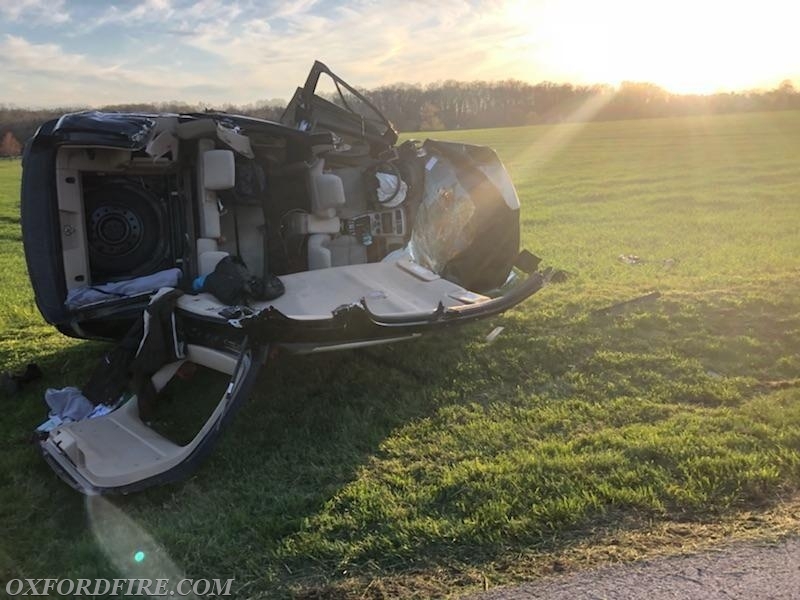 The first half utilized the front bumper tools and the crew and tool from Engine 21-1 took the roof of the overturned SUV. 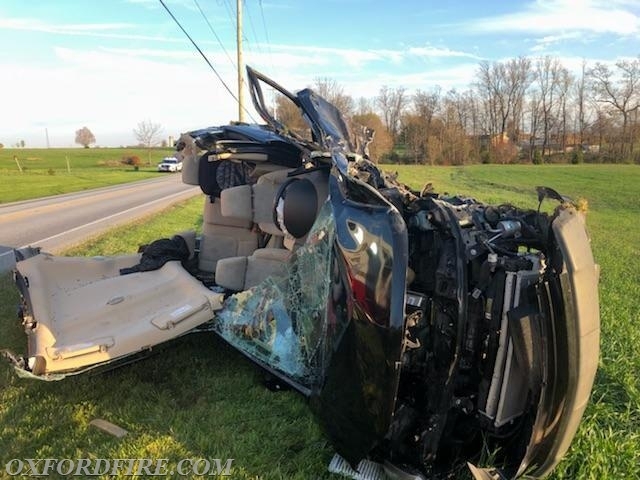 The second half utilized the remaining rescue tools and the crew from Rescue 27 to perform a total side removal on the other vehicle. 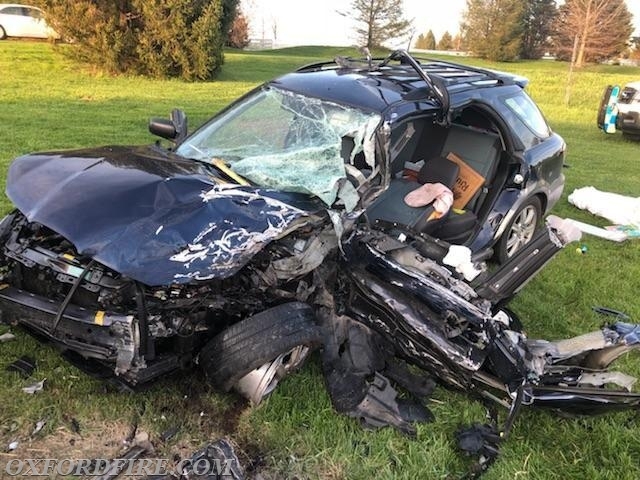 Within 20 minutes of arrival, both Patients were extricated. 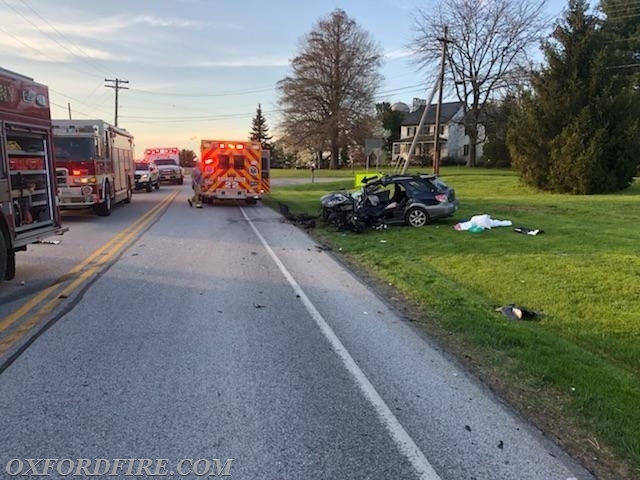 Once extricated, both Patients were transported to the Christiana Hospital in Delaware by Ambulance 21-2 and Ambulance 22-1. Ambulance 46-1 was then transferred to Station 21 to cover the District. 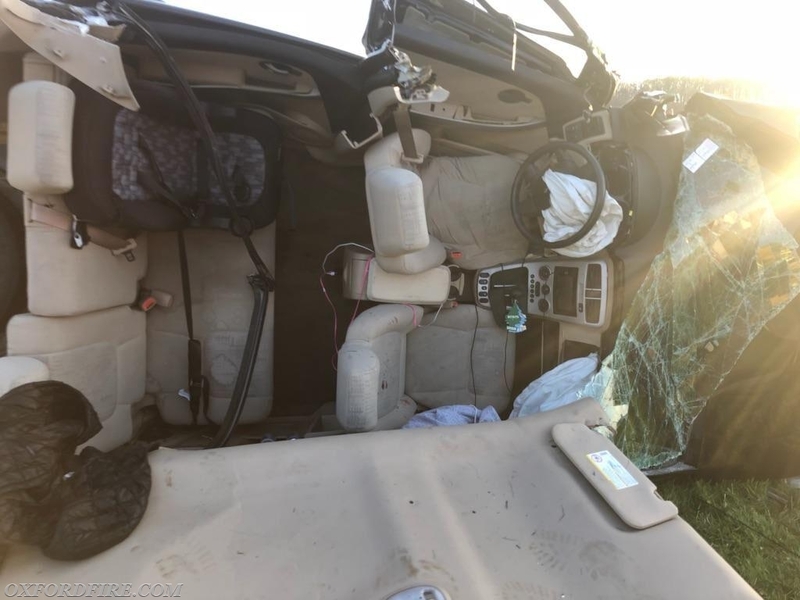 The final units were clear of the incident at 2058 hours.